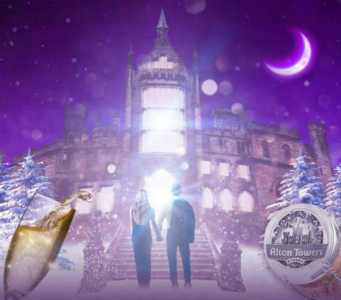 Winter Season – TowersStreet - Your premier Alton Towers guide! The main season may be over but the resort is open all year round and offers a wide range of activities and themed weekends to escape those long winter nights. The hotels and their attractions remain open almost constantly during the Winter Season and even the park has limited opening hours and ride availability over Christmas. The weather can be quite wintery and it can snow a lot more in the Staffordshire Moorlands when it might not be snowing elsewhere, so be sure to prepare your car for the weather and take lots of warm clothes; little fingers and toes don’t like being too cold! On a budget? The Winter Season can be an excellent time to experience all the attractions the Resort has to offer at a fraction of the price. Outside the main theme park season there are often plenty of good deals to be found for a stay at Alton Towers. 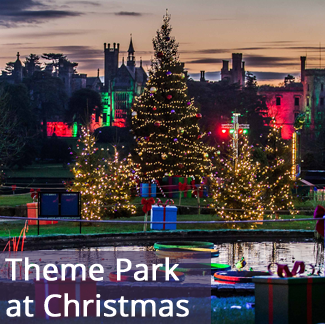 You can add a little bit of extra magic to Christmas this year by taking a short break at the Alton Towers Resort – the fantastical Christmas event is a must for all those with a young family. The resort has various different ways for guests to meet Santa, depending on their accommodation type. For guests staying in Splash Landings, Santa is throwing a festive party in his Enchanted Tipi, complete with mulled wine and hot chocolate along with festive carols to warm up for the big man himself, who will share a festive tale or two in his Christmas story-time. The day starts early for guests staying in the Alton Towers Hotel or the Luxury Treehouses with a breakfast feast prepared by Mrs Claus. This hearty affair will prepare young guests for a fun filled days, complete with stories and songs from the elves before Santa makes his entrance. 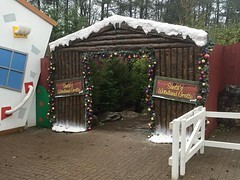 Guests in both the Alton Towers Hotel, as well as the CBeebies Land Hotel are also invited to head down Mistletoe Lane in CBeebies Land and visit Santa’s Woodland Grotto, from which Santa will be posing for pictures as well as giving out gifts. Santa only visits the Resort before Christmas, as he requires some rest after the big day itself. However after Christmas all the other attractions are still available. The usual resort activities are open for the Christmas event so you can take a splash in the Alton Towers Water Park, which is always pleasantly warm, or play a round of Extraordinary Golf. There is also Christmas entertainment, including a specially produced pantomime as well as meet and greets with your favourite CBeebies characters. For older children and adults there is also a caberet show on the ship by the Dragon Bar in Alton Towers Hotel. Top Christmas Tip! 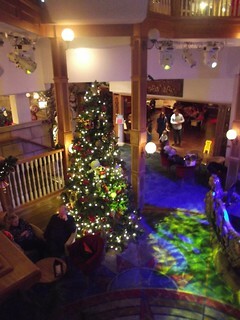 The Dragon Bar and Atrium can get very busy between 6.30pm and 10pm. Be sure to grab a seat early on to avoid missing the show. Alongside all the other entertainment in the hotels, during the festive period the Resort also boasts its very own cinema in the conference facilities, which will be showing a selection of family favourites through the event. Christmas fare can be found in the restaurants across the hotels but for all the Christmas trimmings with an extra loop, why not consider the Rollercoaster Restaurant, which is also open during the event serving Christmas dinner in its own unique style! For lunch you can grab some food in the park when its open, or choose something from the lunch menu at the hotel restaurants. There is also food served in the Water Park. The Dragon Bar is open until late into the night offering a whole range of drinks. As this is a family event we would recommend that any groups of adults bare in mind that children may still be around. Welcome 2019 in style with a short break at Alton Towers Resort, including tickets for both the waterpark and theme park, where selected rides will be open around CBeebies Land and Mutiny Bay. Guests staying for New Year’s Eve will be able to see the resort’s pantomime and a round of Extraordinary Golf is also thrown in. For the big night itself guests have a choice of one of four different options to see in the new year. Sir Algenon will be welcoming guests staying in the Alton Towers Hotel to his New Year Extravaganza. Upon arrival guests will be treated to a welcome drink to whet their appetite for the three course dinner in the Secret Garden Restaurant. Once dinner is complete guests will be invited to retire to the Atrium, where live music awaits them to entertain them into the early hours. 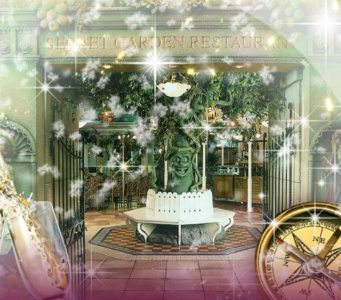 In the morning the Secret Garden is the first port of call for the new year, where a delicious brunch awaits. Escape from the cold winter nights with a stay in the totally tropical Splash Landings Hotel. Outside the snow might be falling, but in Splash Landings Ma Garita is preparing for Caribbean Celebration. 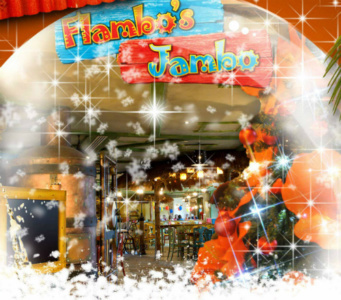 After a welcome cocktail, guests are invited to a three course meals in Flambo’s Jambo before The Cartoon Kings take to the stage in Ma Garita’s to welcome in the new year, ably assisted by the Calypso Crew. 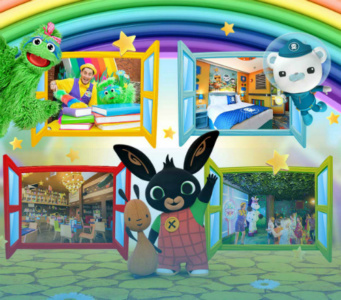 You’re never too young to get into the New Year’s spirit and this year the CBeebies Funsters are throwing a party that is perfect for the youngest members of the family. After a buffet meal in The Windmill Restaurant, Bing will be your host for an evening of entertainment in the Musical Meadow. The fun continues until the clock strikes midnight in Kids Standard Time (or 9pm as it is better known), and it is time for bed. The fun doesn’t stop this year though, so rise an shine early in 2019 for a very special Get Up and Go Show. The fabulous State Room at the Conference Centre will once again be hosting the resorts traditional New Year’s Eve Gala. Guests staying in the Alton Towers Hotel and Luxury Tree Houses will enjoy a delicious five course meal before dancing their way into 2019 with music provided by Madhen. And after your celebratory lie-in, gala guests are also treated to a new year’s brunch the next morning. The dance professionals from the BBC’s Strictly Come Dancing return to the resort to strut their stuff for the annual Dancing With the Stars weekend in March 2019. The event is immensely popular and includes demonstrations, lessons from the professionals, a black tie ball and a Q&A with the dancing stars. If your a strictly fan then this is the weekend break for you! Over the years Alton Towers Have hosted all sorts of events during the Winter Season. Here are just a few of the Winter Weeks that have previously been held in the resort. It may be cold outside but its always warm in Splash Landings Hotel where the Caribbean vibe was stepped up a notch during the Beach Party weekend, including a family disco for young ones to dance the evening away, a Limbo Dance competition to test your flexibility, and flower garlands for all guests to wear! In it’s final season (the 2015-16 winter season) the event was known as the Caribbean Carnival. If the thought of sailing the seven seas is your idea of a fun, then escape from the normal routine with this weekend. 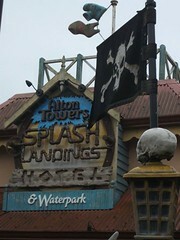 Both Alton Towers Hotel and Splash Landing Hotel get a complete swashbuckling makeover for this weekend of festivities. Meet wild pirates and beautiful princesses, whilst enjoying special themed drinks and entertainment (including a pirate fancy dress competition for the kids). The final Pirate and Princess Weekend took place in 2016 – the event still runs however, though now swash-buckling troop now takeover for February Half Term instead. Brought to the resort by the team at Dance Jam, the UK Street Dance Challenge, is a weekend of competition and workshops where street dancers from across the UK can come to show off their moves and learn a few new ones too. Also from the team at Dance Jam, the Fit JAM weekend brought dance and fitness professionals from around the world to the resort to present a series of workshops across many disciplines during the weekend of 29th-31st January 2016.